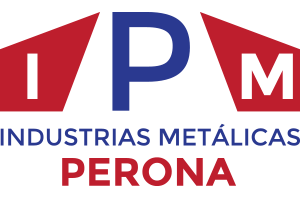 We in Industrias Metálicas Perona are a young team of professionals, completely committed to offer every kind of solution about ironworks, steelworks, and aluminum works, as well as other materials like tin. We also dedicate some of our effort to old-style metal forge. We started with the idea of meeting the rising needs of innovation in our sector, with a multidisciplinary team of young professionals with a broad experience in our services. Our clear goal is to offer you, our client, a perfect way to meet the requirements of your projects in an economical, efficient and reliable way. We base our daily bread in reaching the goal of meeting your needs, no matter which is your sector or what kind of project are you working on. Our entrepreneurial acumen is founded in quality, security and customer care. For all that we count on a powerful team of metallurgy, offering their experience and knowledge to manage the highest qualified jobs.